The National Concerto Competition is a classical music competition for young people aged under 25 years. The Competition is viewed as one of the major classical music events for youth in New Zealand and attracts many entries from both local and national participants. This year (2016/2017) is a very special year as we are celebrating our 50th competition which is a huge milestone! As was in the first inaugural competition back in 1967 we are having both Piano and Instrumental competitors. 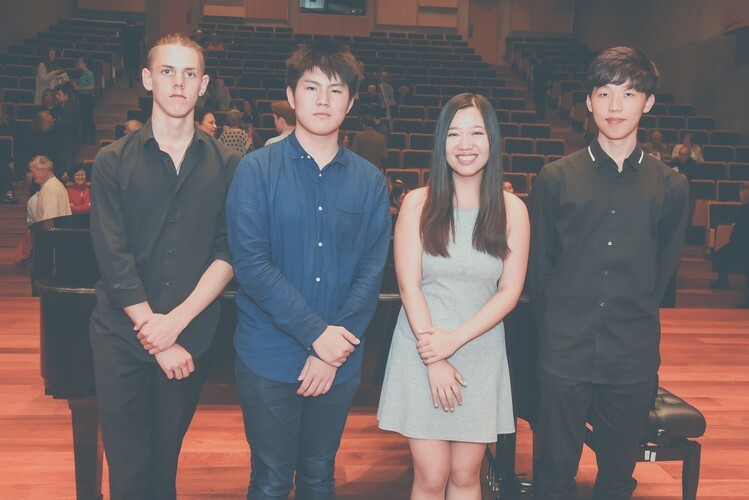 The Preliminaries and Semi-Finals were held in December 2016 where 8 Semi-Finalists were chosen (4 Instrumental and 4 Piano) and from there we have 4 Finalists (2 Instrumental and 2 Piano) for the Final. The Finalists will be accompanied by the New Zealand Symphony Orchestra. - Matthias Balzat (Auckland) playing "Cello Concerto No. 1 in Eb major, Op. 107" by Dmitri Shostakovich. Please come along and be part of this Jubilee celebration and support these very talented young musicians!